Younger Men With Erectile Dysfunction! I'm 19 years YOUNG and am going through something disturbing that I need to figure out. Lately, I've been having a difficult time staying hard, or even getting an erection sometimes, and I never wake up with an erection in the morning anymore. My testicles feel soft and small, and I feel like I'm loosing it. How can this happen to a guy so young, it's driving me crazy. Loss of morning erections at the age of 19 means something has gone seriously wrong in your life. Your one major priority should be to figure exactly what that thing is. If I were in your shoes, here's where I'd start looking first. Alcohol in moderation is no big deal. But, chronic binge drinking will wreak havoc on your hormonal system. 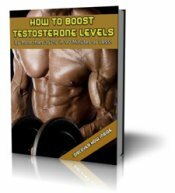 When you drink too much, too often, testosterone levels plummet, and estrogen levels go through the roof. This would explain the loss of morning wood, and the testicular atrophy, as both are side effects of excess estrogen in a mans body. A diet high in industrial carbs, junk seed oils, fructose, soy, and bleached white flour, may be part of your problem. The excessive carbs and sugars, found in a typical teenagers diet, leads to elevated blood sugar, insulin spikes, and ultimately, weight gain. This excess weight harbors the enzyme, aromatase, which is very effective at converting the testosterone in your blood stream into estrogen. 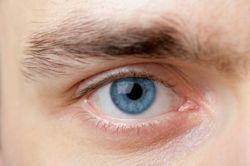 Amphetamines, barbiturates, cocaine, marijuana, methadone, nicotine, opiates, and hundreds of prescription meds can cause erectile dysfunction in men. If you're using drugs, legal or otherwise, work with your doctor to get off them. The chemicals found in the air you breath, and inside the personal care products you smear all over your body, may be contributing to your problem. These chemicals act as potent estrogen mimics. Excessive exposure can lead to testosterone / estrogen imbalance in the body. Follow the link above to learn how to limit your exposure. Once you addressed the above, consider adding the following into your routine.